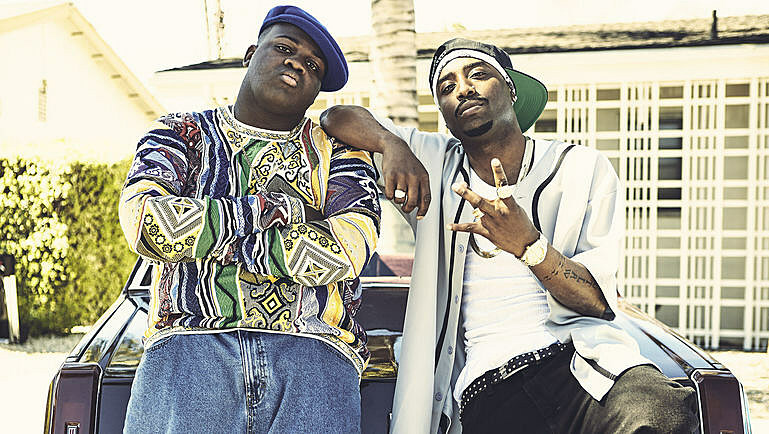 So the most conspicuous aspect of “Unsolved: The Murders of Tupac and the Notorious B.I.G.,” a lightly fictionalized 10-part limited series on USA that has its premiere on Tuesday, is its certainty. Here is a show that offers answers, a ticktock of the various investigations into the killings that have resulted in no arrests but not, if “Unsolved” is to be believed, in no answers. The series is inspired by “Murder Rap: The Untold Story of the Biggie Smalls & Tupac Shakur Murder Investigations,” a book by Greg Kading, who led a task force investigating the shootings in the late 2000s. (There is an accompanying documentary as well.) In that book, Mr. Kading lays out his theories about who pulled the triggers, and why. You can watch three clips from the show, along with interviews with the lead actors, and a behind-the-scenes video about the show’s music, below. Tune in tonight at 10 for more.